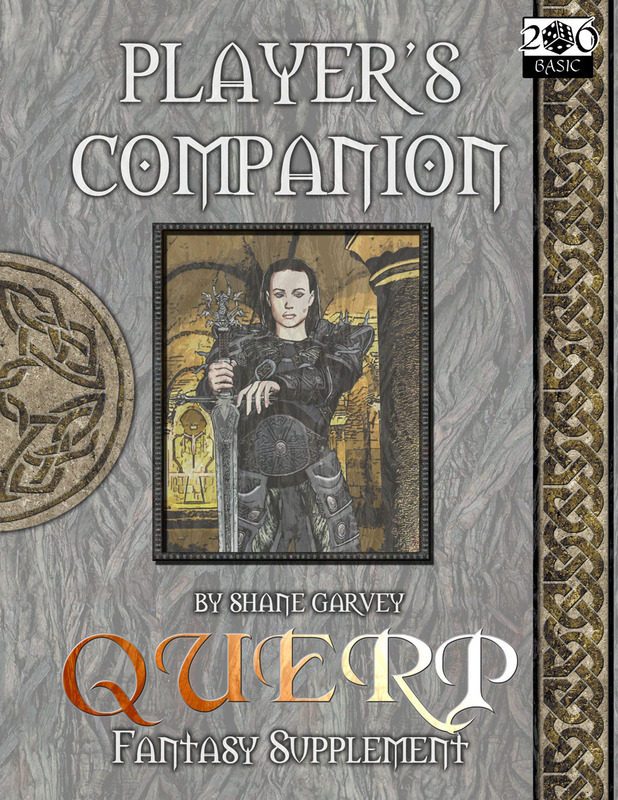 The QUERP FANTASY Player's Companion offers you the rules and guidelines for playing not only the above character types, but also much, much more. With twenty new character types, as well as finally providing the rules for playing as a non-human character, this book contains much to make your character unique.But that's not all! Rules for advanced characters are also given, allowing you full customization over your character. In addition, new equipment is also listed to round out your character. This is not a stand-alone book. This product requires the QUERP Fantasy Core Rule Book to play. All content in this web page is © Copyright Greywood Publishing 2018, all rights reserved. Images are © Copyright Greywood Publishing or their respective owners. No part of this web page may be copied or reproduced without the express permission of the copyright holders.